We were not very exciting this weekend! We did fun things like clean house, run errands and just enjoy some quiet time. Mom and Leigh did come visit on Saturday and we were going to go shopping but Mom was not feeling so well. She stretched out on our couch and took a long nap while Leigh, Hadley and I went to lunch. After Mom woke up, she felt like a new person and did enjoy playing with Hadley. 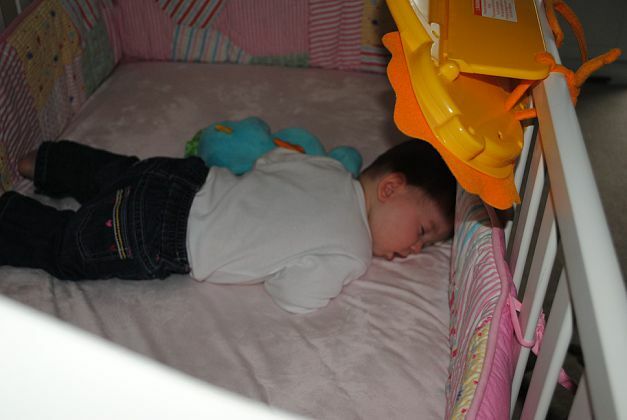 Speaking of naps, Hadley has finally become a fan of them but we do laugh at how she sleeps. 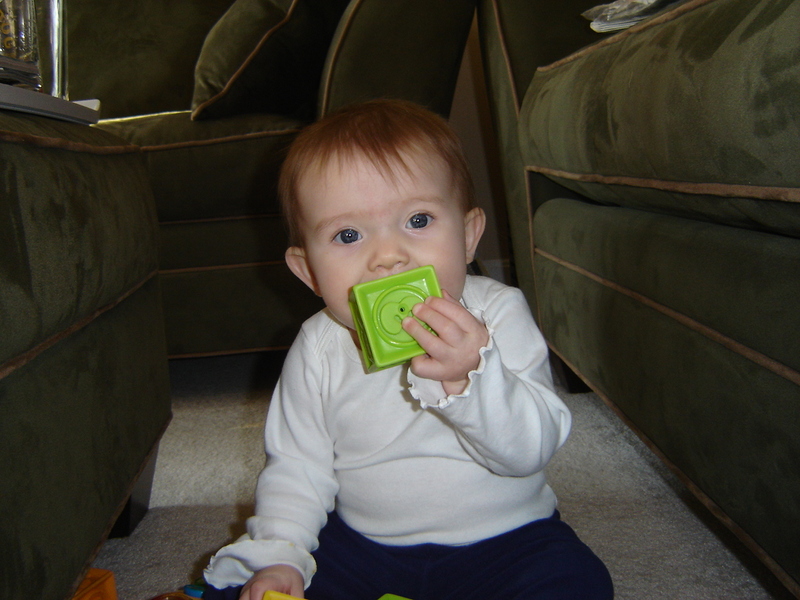 Hadley has some new blocks that are her new favorite. She turned 8 months old today and was all smiles about the big milestone. Where has the time gone? 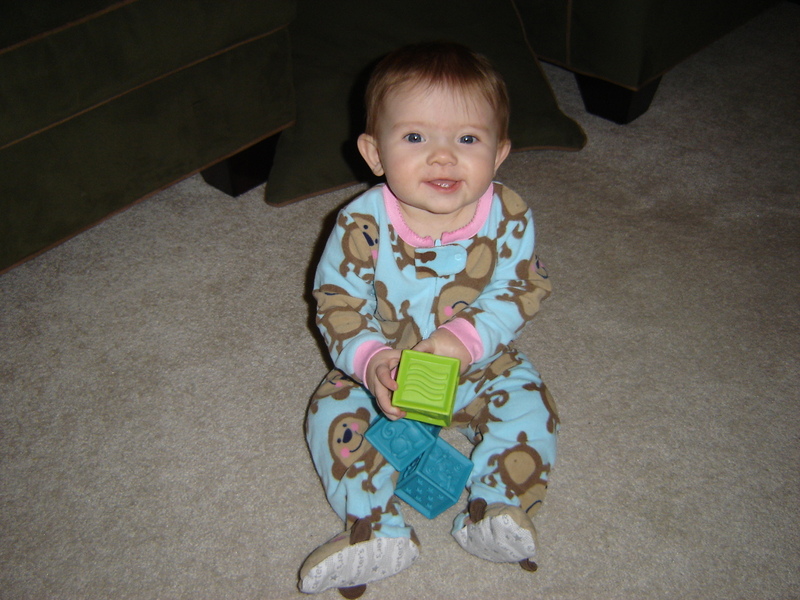 Even when she got changed into her pajamas- it was back to the blocks. We hope everyone is preparing for a yummy Thanksgiving! We hope that your travels are safe, families are healthy, your turkey is cooked perfectly, the weather is sunny and you enjoy the perfect holiday. ← On the move, part deux!